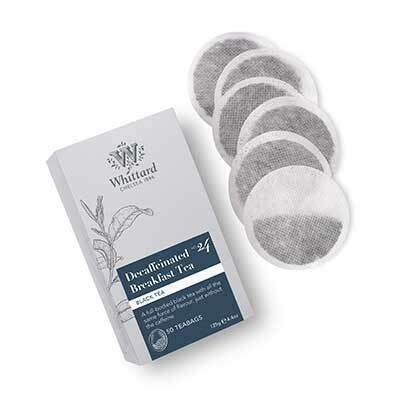 Looking for Decaffeinated Breakfast Teabags? Love tea, less fond of caffeine? Our Decaffeinated Breakfast tea is just as rousing as our classic English Breakfast blend, simply with the majority of the caffeine washed away. We've chosen a classic Ceylon to give you a clear, brisk cup with a pleasing strength and smoothness, delicious both black and with milk. Lovely when you feel like a classic cuppa late in the evening, or if you're already buzzing after breakfast. We’ve chosen the number 24 for this tea, the sum of all the numbers in the chemical formula for caffeine, C8-H10-N4-O2.